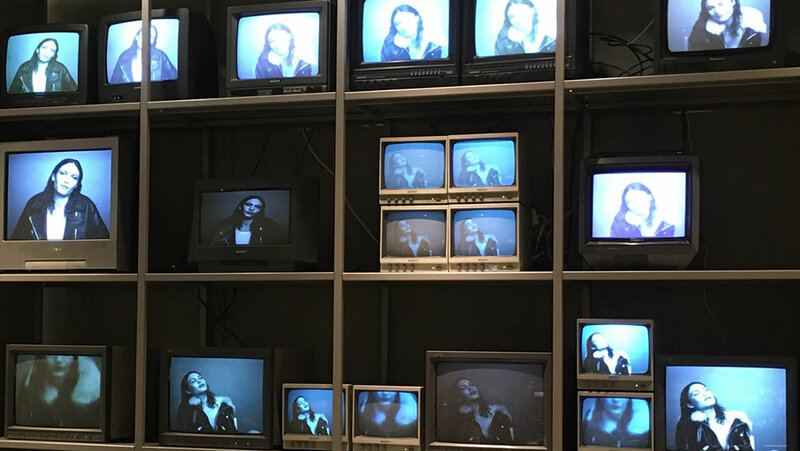 A shop installation consisting of 25 retro televisions and monitors displaying a fashion showreel. Although we only had one showreel to display, we created 3 copies of it with different start times so that different TVs showed a different part of the showreel at different times. It looked very effectiveand the colourisation of the footage matched very well with the shelving and surrounds. The cabling behind the TVs was kept as tidy as possible to keep the clean presentation. This installation was for Selfridges in London.